BABC hosted the 41st annual Boston Shootout this past weekend at the Shelburne Community Center in Roxbury, MA. This years field consisted of 6 elite sophomore teams from the Northeast region including Albany City Rocks, BABC, Connecticut Elite, Metro Boston, New England Playaz, and Northeast Shooters. In the end, host team BABC outlasted New England Playaz 60-53 in OT to take home the championship. A number of Elite Week alumni stood out at this years event. Bruce Brown – 6’4″, Guard, BABC – Brown was tremendous in the finals leading BABC in scoring with 17 points. Brown continuously found himself free in the open to court for strong finishes at the rim, and was constantly in the passing lanes distributing the New England Playaz offense. Brown also displayed the ability to knock down some timely jumpers over the weekend as well. Brown was at his best on the defensive end, coming up with deflections, steals, and blocked shots when his team needed it the most. Terance Mann – 6’5″, Guard, BABC – Mann was a steady presence for his squad all weekend while handling primary ball handling duties, as well as being a vocal leader for his team. Mann showed his patented ability to slash to the hoop for acrobatic finishes, was effective in the open floor, and knock down jumpers throughout the weekend. Mann finished with 10 points in the finals. Tyree Weston – 6’1″, Guard, New England Playaz – Weston was very impressive throughout the weekend. Weston showed off his shooting stroke from 3 point range, was dangerous in the open floor, and chipped in on the defensive glass for his New England Playaz squad. Weston had a great pace to his game all weekend. Aaron McLean – 6’6″, Forward, New England Playaz – McLean had his best offensive performance in the semifinals, when he finished with 17 points in a 67-53 win against CT Elite. McLean brought his football toughness with him all weekend long, as he was a force on the glass. Jayden Depina – 5’9″, Guard, Metro Boston – Depina saw action for Metro Boston against a very talented New England Playaz squad. Depina played point, and showed well against older competition. 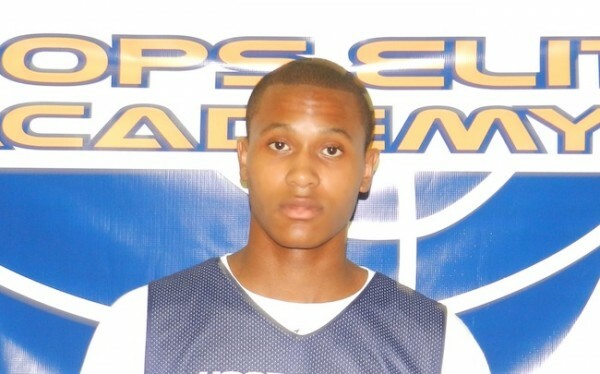 Only an 8th grader, Depina was assertive on offense, and was not hesitant to take open shots. For a full recap of all the finals action click here. Watch below for a video recap by BALLA’S TV.